Turkey tells Israeli ambassador to 'temporarily leave country' after deadly Gaza riots. Ambassador Eitan Naeh was summoned to the foreign ministry and told to "return to his country for a period of time", said the official, who asked not to be named. The official said that this was also in line with Turkey recalling its ambassador to Tel Aviv for consultations. Naeh had been in his post only since December 2016 after a reconciliation deal earlier that year ended a dispute over the deadly storming of a Turkish ship by Israeli commandos that saw ties downgraded for around five years. 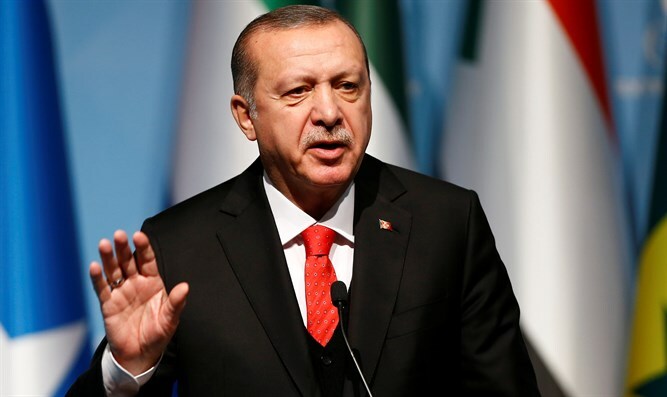 Ankara has reacted with fury to the killing Monday of 60 Gazans in clashes and protests, on the same day as the United States formally moved its embassy in Israel to Jerusalem from Tel Aviv. Prime Minister Binali Yildirim earlier urged Islamic countries to review their ties with Israel and said Ankara was calling an extraordinary summit of the world's main pan-Islamic body on Friday. "Islamic countries should without fail review their relations with Israel," Yildirim told his ruling party in parliament. "The Islamic world should move as one, with one voice, against this massacre," he added. Tayyip Erdogan currently holds the rotating chairmanship of the body. It was not immediately clear what format the meeting would take or who might attend. Deputy Prime Minister Bekir Bozdag said in parliament that the summit would take place in Istanbul. In an apparent bid to drum up support for the event, Foreign Minister Mevlut Cavusoglu held telephone talks with around a dozen counterparts from the Islamic world. They included the foreign ministers of Jordan, Indonesia and Iran as well as the OIC secretary general Yousef bin Ahmad al-Othaimeen, foreign ministry sources said.